Shah's meeting with Advani and Joshi comes days after Rahul Gandhi accused PM Modi of insulting his 'guru'. New Delhi: As Bharatiya Janata Party (BJP) is set to release its poll manifesto for Lok Sabha elections 2019 on Monday, BJP president Amit Shah is expected to meet upset seniors LK Advani and Murli Manohar Joshi, reports claimed. The meeting comes after the Opposition leaders including Congress president Rahul Gandhi attacked Prime Minister Narendra Modi and Amit Shah for sidelining their ‘gurus’. Notably, Advani and Joshi, founder members of the BJP, were among some of the senior party leaders who were not given tickets to contest the Lok Sabha polls this year. Advani, 91, one of longest-serving president of the ruling BJP has been elected from the Gandhinagar parliamentary constituency seat six times since 1991. But this time, he was reportedly told by the party that Amit Shah would contest from Gandhinagar LS seat. Meanwhile, Joshi was also denied ticket from Kanpur after which he had issued a statement saying BJP general secretary (organisation) Ram Lal, a Rashtriya Swayamsewak Sangh (RSS) appointee, had conveyed him the party leadership’s decision that he should not be contesting the polls. 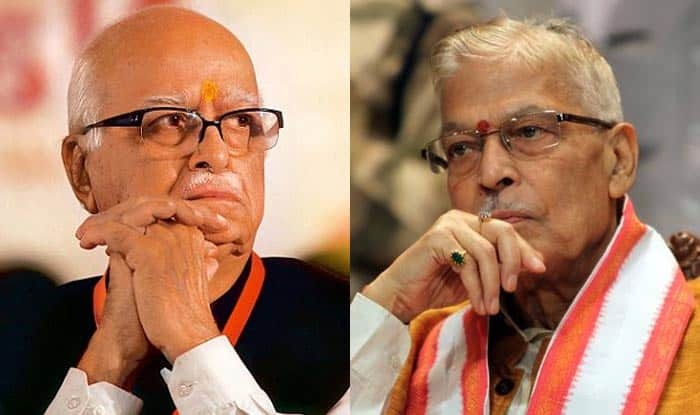 On Friday, Joshi had paid a visit to veteran L K Advani at his residence, a day after Advani said his party has never regarded those who disagreed with it politically as “anti-nationals” or “enemies”. Sources said that Joshi drove down to Advani’s residence and held deliberations with him. However, there were no comment from either leader on what transpired in the meeting.